Chances are you’ve probably already heard of or even tried a konjac sponge. I’m a little late to the game in explaining and reviewing these cleansing sponges. But better late than never, correct? What Is A Konjac Sponge and How Do You Use It? What is a konjac sponge? A konjac sponge is made of plant starch that’s extracted from a type of potato plant. The sponge absorb a lot of water, so it has a unique texture, kind of like a thick piece of squishy felt. It’s more nubby than a dish sponge, but softer than a loofah and has a finer texture than a washcloth so it’s safe to use on your face. Because of its bouncy, rubbery texture, it makes a rich lather and requires less cleanser that you would normally need. It dries quickly, so it’s more hygienic than a washcloth. Plus they are affordable (I get mine for less than $2 each), so you can change them frequently without having to worry about ruining your washcloths with makeup. How do konjac sponges help your skin? They dislodge dirt, oil, makeup, and impurities to deep clean your skin, so they’re helpful for those with acne and large pores. They can help slough off dead, dry skin flakes that are a sign of sun damage. They can also help remove stubborn, water resistant sunscreen. How do you use a konjac sponge? First, soak your sponge in warm water for at least five minutes to soften the fibers and avoid injuring your skin. Splash your face with warm water and squeeze a few drops of cleanser onto the sponge. Massage in a circular motion, concentrating on trouble areas and avoiding areas with healing pimples, infections, or abrasions. Rinse face with warm water and pat dry. Thoroughly rinse the sponge with warm water, squeeze out excess, and let air dry. First off, what Dr. Wu writes above about the sponge only costing about $2 is completely correct. 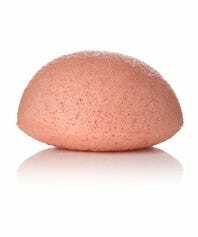 Buy your konjac sponge on eBay; most sellers also offer free shipping. I bought a regular konjac sponge via eBay though the next time I buy one I’ll be trying a charcoal one since charcoal has acne fighting properties. I did not find that I had to soak my sponge in warm water for five minutes in order to soften it; it took me about a minute to soften the sponge in the shower. It is definitely true that you need less cleanser when using a konjac sponge; a little bit of your cleanser will foam up brilliantly on the sponge. For me the most interesting thing about the konjac sponge was how much the texture changed once it was wet. Dry the sponge is rough and hard, but once you’ve soaked it the sponge becomes incredibly soft. I liked using the sponge and the price can’t be beat, but I didn’t see a difference in the appearance of my skin when using the sponge. I think for someone like me who has tough, acne prone skin konjac sponges are a lovely addition to my skincare routine but not a necessity. I do think that a konjac sponge can be an excellent way for someone with sensitive skin to exfoliate their skin without any irritation. Plus, these sponges are just fun (and cheap). I will definitely be buying another one and recommending them to clients with sensitive skin or to clients who are exfoliation phobic (unfortunately I meet a lot of those) since by using a konjac sponge you can definitely gently exfoliate while you cleanse. Recently I came across quite a few intriguing skincare and make-up products I thought I would share with my readers. I haven’t tried any of these products so if you have please comment below. Milk has been prized as a beauty care ingredient since cows roamed the Roman Empire. It’s rich in unsaturated fatty acids, lecithin, vitamins A, D, E, C and B12, and offers amazing nutritional benefits for the skin. Almost all facial creams include fats and oils to help keep skin healthy. Well, milk is an utterly nourishing source of natural fat. One drop of milk contains over one million superfine, easily-absorbed, nutrient-rich balls of fat that quench your skin’s moisture-thirsty cells. Your skin will also love the lactic acid found in this dairylicious ingredient – which helps to break down and remove dead skin cells and helps to stimulate collagen production. Milk has other naturally occurring nutrients – peptides and protein. Dairyface is the first yogurt specifically formulated to contain pre- and pro-biotics for topical use on your skin! Cold is the next hot thing in skincare. The solution is as simple and everyday as refrigeration. It’s fresh, natural dairy, after all. Keeping Dairyface products cold means there’s no need to add synthetic or other harmful preservatives. Dairyface works with local dairies to source live milk cultures, then combines them with other beneficial fruits, vegetables and herbs, to bring a powerful and gentle skin care from nature to you. I have no idea if the products in this line work as described, but I do find the concept and main ingredient appealing. Dairyface isn’t the only skincare product that needs to refrigerated. This skincare line from Korea called Frostine also needs to be kept cool. Want to buy a fridge just for your cosmetics? Turns out that such a thing exists. A good primer can make a lot of difference with how your make-up goes on and how your skin looks. After reading a positive review of Hourglass Veil Mineral Primer on Future Derm I would like to give this product a try in the future. In the meantime I try to keep excess shine away by mixing a little Smashbox Anti-Shine with my sunscreen each morning. OCC Lip Tar combines the longevity of a lipstick, with the ease of application of a gloss. Goes on slick and moist, and dries down to a satin finish. Ultra-saturated in color, Lip Tar contains an unprecedented amount of pigment – a little goes a very, very long way! An intense yet featherweight layer of color that never looks or feels heavy. Meant to be mixed, Lip Tar comes in concise array of colors for a limitless selection of shades made by you! A simple, elegant formula that contains Hemp Oil, Peppermint Oil and Vitamin E, OCC Lip Tar feels as good on the lips as it looks! A few months ago I came across a little tube of brightly colored pigment fromObsessive Compulsive Cosmetics called Lip Tar. It was unlike anything I had seen before: It had the opacity of a matte lipstick, the consistency of a gloss, and a satin finish. “I think the best way to describe it is concentrated lipstick,” said the creator of the brand, makeup artist David Klasfeld. “It’s lipstick in its most basic form—just pigment and a natural oil base.” Since then, I’ve seen more and more of these lipsticks popping up: Stila Stay All Day Liquid Lipstick, Yves Saint Laurent Rouge Pur Couture Glossy Stains, and there’s more to come. In August, Guerlain will debut Rouge G L’Extrait, and Hourglass Cosmetics is coming out with a full-coverage liquid lipstick called Opaque Rouge. The only downside to these concentrated lipsticks is that you have to move quickly and be extra precise because they dry so quickly. I like to put them on starting in the center of my bottom lip, dotting on just a little bit and then smoothing the color out to either side, bringing it closer to the lip line with the tip of the sponge applicator. If you can’t get the hang of the applicator, though, you can also dip a tiny lip brush in the tube, which makes it easier to follow the curve of your cupid’s bow. And while they’re intensely pigmented, they aren’t at all heavy or gross, so they’re actually perfect for summer—I promise they will not budge in the heat. And lastly, thinking about doing a cleanse? (I have but I know I would break after a few hours and stuff french fries and chocolate into my mouth) Now there are skincare products to use in conjunction with your cleanse since it is a well known fact that cleanses can cause temporary skin issues (breakouts, dryness) as your body detoxifies. Once again – if you’ve tried any of these products please share your thoughts below. In April, 2012 Botox turned 10 years old. That is it has been 10 years since the FDA gave Allergan approval to sell Botox Cosmetic as a solution for moderate to severe frown lines between the eyebrows and not just for medical purposes (As many readers may know Botox has numerous medical applications as well). Now that Botox is so widely used (and even abused some would say) this is a good opportunity to look back over the last decade to see what people had to say about Botox then and the reality of its use today. Unlike a face-lift, where the skin is stretched taut like a drum but facial expression is unaffected, Botox paralyzes the underlying muscles that control facial movement and produce wrinkles. Botox, or botulinum toxin, is the neurotoxin derived from the bacteria Clostridia botulinum, the cause of botulism. Botulinum toxin is the most poisonous substance known and is a potentially potent bioweapon. A single gram of the purified toxin, widely dispersed and inhaled, could kill a million people. Ingested systemically, botulinum toxin kills by paralyzing the diaphragm, the muscle used in breathing. The toxin prevents neurons from releasing acetylcholine, the neurotransmitter that causes muscle contraction. But injected locally, it paralyzes just a small area of skeletal muscle. The effect is temporary, lasting three to four months. Little is known about the long-term cosmetic effects of Botox. But there is evidence that prolonged use can cause some people to produce neutralizing antibodies against Botox, which diminish or block its effect over time. Botox had wiped the wrinkles from the woman’s brow but had also robbed her face of some human expressiveness. It made her appear not so much youthful as lifelike — a frozen imitation of youth. Unlike this woman, many Botox users receive extensive injections above the nose, around the eyes and across the forehead, which deeply alter their expressions. It made me wonder: Should we become a Botox nation? What are the implications for human relationships? I’m not too worried about the adults; they can figure out that their friends and loved ones are poker faced not because of lovelessness but thanks to Botox. But what about infants and children? The key to a positive Botox experience and a great result? Finding an injector, either a doctor or a nurse (In the US any doctor, not just a dermatologist or a plastic surgeon can inject Botox, and any registered nurse can inject Botox. I would love to know from my readers in other parts of the world about how popular Botox is in their country and who can inject it), who knows their stuff. If you place yourself in the hands of a skilled injector your face looks refreshed, not overdone. 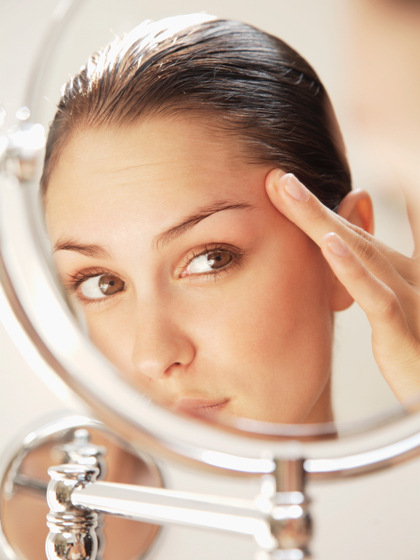 Your forehead will still move while you look alert and your wrinkles are smoothed. There has been a great improvement in how Botox is injected since it was approved for cosmetic use in 2002 so the concerns from then as mentioned above, while not to be taken lightly, are not as much of a problem today. Botox secured its first FDA approval more than 22 years ago as a treatment for two rare eye muscle disorders, making it the first product of its kind approved in the world. In 2002, the same formulation with dosing specific to frown lines was approved under the name Botox Cosmetic. “The FDA approval of Botox Cosmetic enhanced the practice of plastic surgery by providing plastic surgeons with a new treatment option for patients seeking to reduce the appearance of vertical frown lines between the eyebrows,” says Malcolm Z. Roth, MD, president of the American Society of Plastic Surgeons. In the decade since Botox Cosmetic was approved, aesthetic specialty physicians–which include dermatologists, oculoplastic surgeons and facial plastic surgeons–have developed extensive experience in the art and science of administering Botox Cosmetic to yield predictable results for their patients. These physicians have performed approximately 11 million treatment sessions since 2002 and have also contributed to the extensive clinical database demonstrating the safety and efficacy of the drug. Though I have yet to try Botox (or Dysport or Xeomin which do the same thing as Botox yet are newer to the market) I am certainly not opposed to trying it in the future. Have you tried Botox? Are you open to trying it? Share your thoughts below. There is, of course, endless amounts of information available about Botox online. Here are some good sources for more information about this product. I typed “Botox” into the New Beauty search box and all sorts of interesting articles (with photos) popped up. Here’s the list. While researching this post I came across a story that was one of those “the truth is stranger than fiction” stories. Here is Vanity Fair‘s version of the events – The Botoxed and the BoldFaced. This article also includes information about how the poison botulism became a cosmetic injectable. Certainly an interesting read.